This time of year you will find everyone outside soaking up the spring weather and warmer temps! Often, we are not fully prepared and just jet out to the park for a fun day. It is so easy to forget to lather the sunscreen on because you are just so happy the sun is out and you aren’t having to bundle in 16 layers of clothing. Today, we are discussing a little bit about our children’s skin and what to look for in safe sunscreens. Babies skin is much thinner than adult skin and can absorb substances much more quickly because of this. It is so important to apply sun screen on your child not only for the beach or pool, but for afternoons at the park and regular outdoor activities. It happens to frequently when coming home from the park you realize your baby has red arms, legs, and a chapped face. 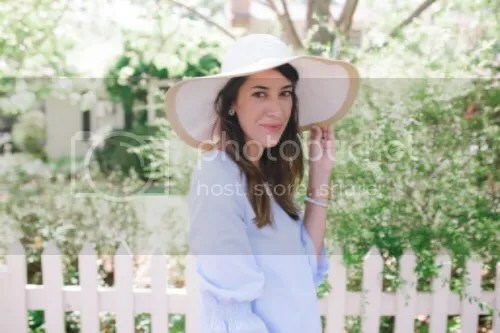 It is advised that babies under 6 months opt for shade, floppy hats, and clothing when in the sun. Sun damage often occurs in the early years of a person’s life. So use this time to protect your little one’s skin. Today, we are sharing organic and safe sun screen’s for your little one’s. Because their skin is so thin and it absorbs quicker, you definitely want to put safe ingredients on that precious babe of yours. When choosing a sunscreen it is important to buy sunscreen that is broad spectrum UBB/UVA protection, paraben/PABA free, and water resistant. 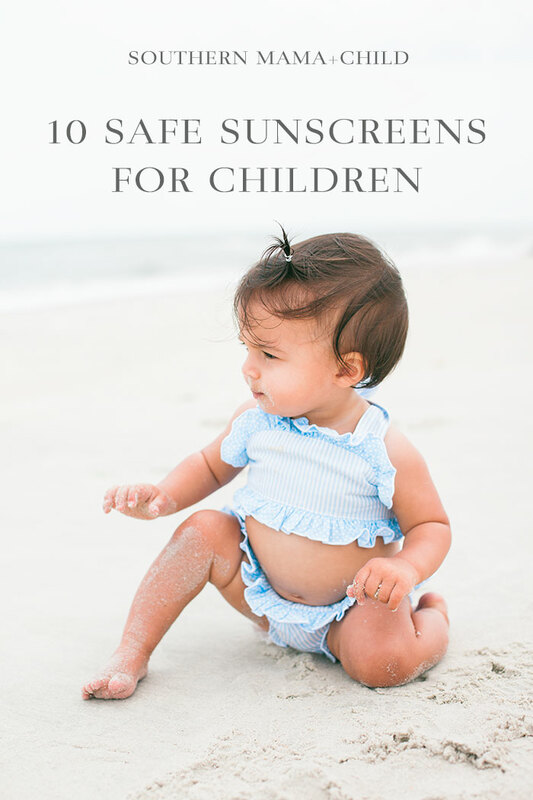 Here is our list of a small handful of sun screens that are safe for your children. *We HIGHLY recommend investing in a sunscreen stick so you can keep it in your diaper bag at all times in case you forget to grab the bottle or lather before you leave the house! Want to know if your sunscreen is safe? Check with the Environmental Working Group sunscreen resource page! Shop Our favorite SAFE sunscreens, here! Thanks for posting. Do you recommend one in particular? Neutrogena pure and free spf 60. I just bought that. Is that safe? Thanks so much for posting! We are headed to the beach next month so I’m getting ready to stock up on sunscreens! I have tried Thinkbaby so far and love it! Which stick do you recommend getting? Would love to have one, like you said, for on-the-go! Thank you so much for reading Megan 🙂 Thinkably is wonderful! We had a sample of Thinkbaby and loved it as well! For the stick, we have been using the Honest Company one. We get their monthly diaper bundles, so it is easy for me to just add it to our bundle each month. I am eager to try the other ones though! Have a wonderful beach trip!! In your research, did you find anything you would feel comfortable applying to a baby under 6 months old? My first daughter was born in the fall so it wasn’t really an issue but this baby is coming in the middle of summer & I’m worried about protecting her delicate skin! Unfortunately, I did not. I trusted my pediatrician in this department and kept my little one in rash guards, floppy hats, and stayed under umbrellas/tents. Good luck mama, I know that is hard! We are also fans of baby pibu ! Kontaktlisten verwalten will, der hat keinen anderen Weg.